Dry, dull, rough, chalky, flaking, mildly irritated. Boosts Aquaporin-3 which promotes inner hydration mechanisms and water movement from the basal layer of epidermis and to the stratum corneum, rejuvenating the skin by improving barrier function, collagen I synthesis and cellular proliferation. 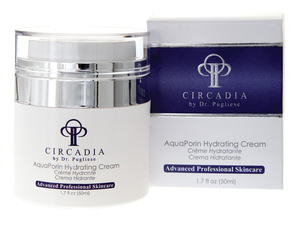 Increases Aquaporins-3, 9, and 10 to hydrate skin, increases fibronectin, and envelope proteins to improve corneocyte cohesion. Contains palmitoleic acid which is beneficial dry skin. Oligomeric proanthocyanidins are antioxidant and stimulate collagen. In the evening after cleansing, lightly apply to desired areas on face and neck.